It’s easy to long for the way things used to be, but equally easy to miss great advancements in front of you while looking behind you. More dining options, larger cabins, cashless cruising, and more. We may not think about these every day, but you’d quickly long for them if you stepped (or sailed) back in time. 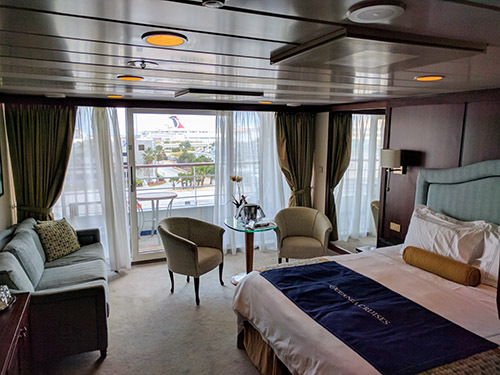 I was somewhat “born into cruising”, my experience coming about in the way that someone whose parents have a cabin in the mountains will always head to the hills to relax and reflect – but my relaxation had a midnight buffet and a muster drill. I’m fortunate, and this fortune has offered me a long-term view of cruising that few are lucky enough to have. I’m sitting now in the serine solarium aboard the Harmony of the Seas, the world’s largest cruise ship. This ship is similar to some of the earliest ships I sailed, in that it floats, and the people in charge are known as “officers”. A lot has changed. It’s hard to sail a ship like this and not look around, mouth agape, thinking about how much different things are. I don’t want however to talk about “the way things used to be”, or reflect on the stuff that is no longer around and why it should be. I do think about some of those things (you can read about a few of them here), but the fact is there are some great improvements and various lines that have been pioneers in bringing these changes about. 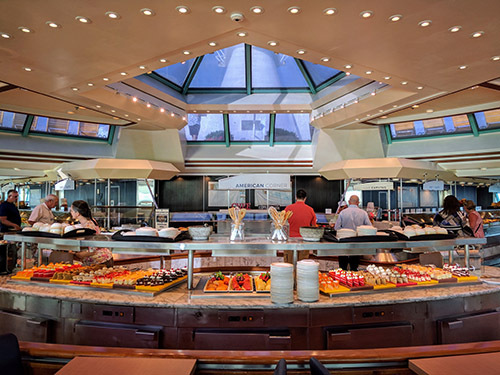 Dining has long been a tasty topic on cruises, with wide varieties of options at the main dining room, the casual lido buffet, and the famous and over-the-top midnight buffet. On Harmony of the Seas there are over a dozen places to grab a bite. Looking for Asian cuisine? There is hibachi and sushi. Something formal for a special occasion? Get ready for the chef’s table. Maybe you’re just looking for a snack. There are options across the ship. It’s not just the mega-ships either, we recently toured the Carnival Vista and were amazed by the number of dining options. Only twenty years ago, we didn't’t see all of these dining options – certainly not options that came at a premium. The idea of multiple restaurants however isn’t new. In fact, when the QE2 first began sailing in 1969, she had a restaurant called the “Grille Room” which carried an additional charge…of under $1. The concept was ahead of its time however, and the venue was soon turned into the Princess Grille, for guests in specific stateroom categories. Around the year 2000, Norwegian introduced “Freestyle Cruising”, an effort to eliminate the structure and formality (such as set dining times) which made some averse to cruising. When they did this, they also introduced additional dining options, such as Cagney’s, which came at an additional cost. Around this same time many other lines launched similar concepts, and now you’d be challenged to find a ship with only one sit-down restaurant. 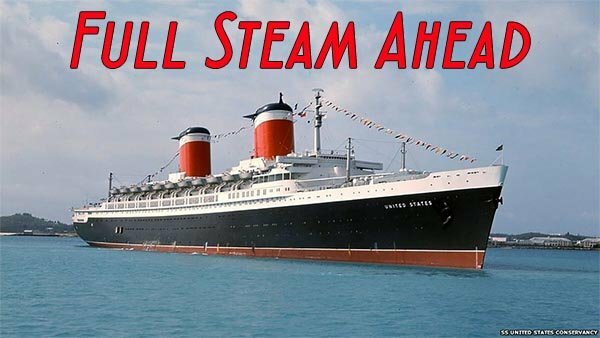 This became a trend in the industry and those who may have felt in cruising’s past, that being on a ship “trapped” you into a small set of options certainly can’t make that complaint on many ships today, at least about dining. On many of today’s modern ships a guest could dine in a different restaurant every night – or if you’re like me, two per night, you know, for research. Cruising on contemporary lines may not always get you a chocolate on your pillow each night, but it will get you far more space around that pillow each evening. Some of the older ships still sailing may offer up quarters that allow you to take a nap, shower, and change the DND sign on the door without moving a muscle. While we quite enjoy some other design-elements found on less-modern ships, those built in the last five to ten years offer far more space, and importantly, showers that you can use without needing to first take yoga. 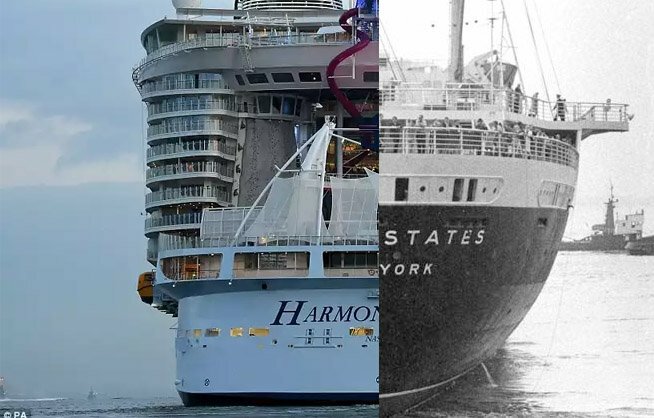 Obviously, space is at a premium on-board, but there are two primary factors which have led to larger staterooms: ship size and shipbuilding technology. Even ships considered small by today’s standards, such as Carnival’s Fantasy class of ships (~70,000 tons), are many times larger than the first ships on which I sailed, yet are nothing compared to the 225,000+ ton Oasis class ships on Royal Caribbean. This extra space has yielded not only more entertainment venues, dining options, etc. – but comforts such as larger cabins, higher ceilings, larger public restrooms, more pools, etc. Shipbuilding tech is important too, as lighter and stronger materials have allowed ships to reach much higher than would have been possible in the past – allowing for additional passenger decks. Incidentally, this has also allowed for far more balconies on ships, a nice source of additional revenue for cruise lines while satisfying guests with some extra room and a great view. One of the top two reasons people give for not wanting to take their first cruise is that they fear they’ll get sea-sick. Throughout the years there have been a number of advances which combat “traveler discomfort” (a more genteel term that is sometimes used for motion-sickness suffered at sea). Over a century ago bilge keels were implemented to reduce roll, then gyroscopic stabilizers put on the Lusitania and other vessels, and then stabilizing fins protruding from the hull. Today’s ships have active stabilizer fins which adjust to motion in order to offset the roll of the ship, building pressure on one side of the fin like a plane’s aileron. While dynamic stabilizers have helped quite a bit, improved weather forecasting technology and science often allow captains to steer modern ships around foul weather. Interestingly, the modern ship design we mentioned earlier mean that this weather forecasting is even more critical to passenger comfort, because a 150ft tall ship acts as a sail in high winds. The most stable ship is that which stays in calm waters. There are of course other remedies that have come along. Over-the-counter medications, acupressure devices, etc. With so many ways we mitigate and prevent movement, sea-sickness really isn’t something we think most people should worry about when contemplating a cruise. Much like casinos or surf-simulators on ships, the reduction of movement in cruising, to an extent, falls into the category of “it’s not for me but I’m glad it exists for others.” I personally like feeling the movement and knowing I’m on a ship, but am glad that friends can now come along more comfortably. For decades, cruise ships have allowed you to maintain on onboard account, similar to the way land-based hotels do. Fancy a drink? Want an item from the shop? Put it on your room charge. Until the last 15 or so years however you still needed some cash on hand for certain expenses. 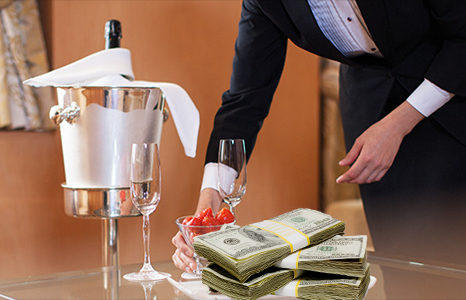 Most commonly, gratuities, which were handed out in small envelopes filled with cash on the last night of a cruise. This meant you needed to have cash on hand, divide it out, keep track of it, etc. Personally, I always felt this a very silly process as it felt and looked like hundreds of passengers awkwardly trying to slip their wait staff money for drugs all on the same evening. Cash came into play in other ways as well. It wasn't uncommon for many passengers to fund their onboard accounts with cash, something that is still an option, though not frequently taken advantage of. Even cigarette vending machines could be found on ships, and yes, they took cash. Cash just wasn’t seen as a burden as it was needed much more in port as well (it is still king in many ports – but not as much as was the case in the past). Where was all this cash handled? Well what is now “Guest Services” was once the “Purser’s Desk”, where guests exchanged currency, made change, etc. To me, the simplicity of cashless cruising is fantastic. I bring some cash for tipping room service, porters, and a few dollars for in-port tips, and more often than not – that’s it. Fast, easy, and I have no feeling of regret until that statement finds its way under my door late the last evening of the cruise. 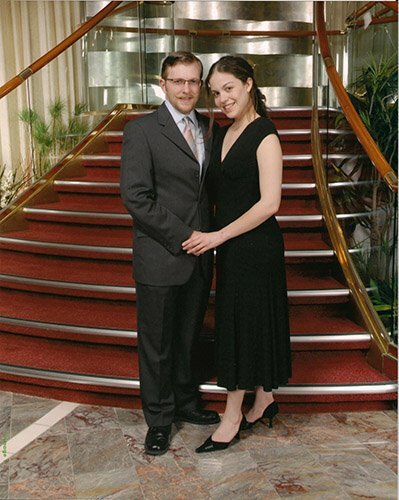 For many, cruising evokes visions of people in formal wear sitting for a formal meal. This certainly still happens to various extents on most ships (though not all). 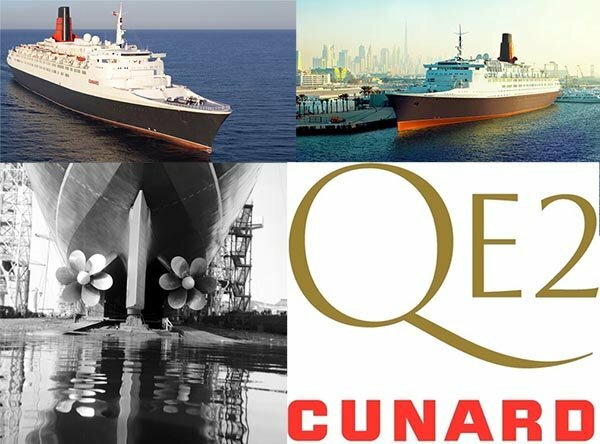 Certainly, Cunard and some other lines embrace this style, and there are many who love it. Despite that (and my love for the Cunard experience), this romanticized view of cruising isn’t one that I understand well – though I’ve always been around it. Perhaps it’s a sign of my being spoiled, fortunate enough to go on so many cruises from such a young age that the novelty of putting on a tie and being served a sorbet as a pallet cleanser between courses simply isn’t novel to me. Perhaps I’m just not comfortable in formal wear. There is fierce debate around dress codes, as some passengers feel that there is importance to the formalities, and others would simply choose to do their own thing and don’t feel their attire should be of any bearing to those wishing to work on their Half-Windsor. Plenty of sites have many impassioned persons discussing dress code opinions, and I haven’t much a desire to partake, but I will say that I find it easy to comply with ship’s dress codes. As previously discussed, modern cruising affords guests so many options that there are usually public areas and even restaurants that remain casual and comfortable regardless of the evening’s suggested attire. On many ships, you can don shorts and a t-shirt on formal night and visit the onboard burger joint, or even head to the main buffet and casually feast on many of the same offerings found in the main dining room decks below. Regardless of the number of dining venues, lines have been increasingly easing dress code requirements. Lines like Oceania are “country-club casual” every evening, and even Celebrity now has “evening chic”. Black tie dinners aren’t nearly as common – though you’re welcome to wear a tux or formal gown any night you’d like. These options, to me, allow for guest choice. Guests can do what they please and be surrounded by others with a similar taste for formality, or choose not to. I’ve had a great cruise on Harmony so far, and could write pages about the experiences on this trip, but you’re better hearing about it from the pros over at RoyalCaribbeanBlog.com. What I’ve noticed however is that there are some things on this amazing ship that cruisers in years past, those who may be inclined to long for those days, could never have imagined – and they’re grand. I do miss the Norway, but when I think about what modern cruising has to offer, it’s hard to imagine ever going back. What do you like about cruising now that wasn't an option in decades past? What do you miss? Let us know in the comments below or reach out on Twitter or Facebook. Updated: On Jan 6, 2019 Carnival announced they are suspending and re-evaluating room service charges. New cruise ships are huge - except when they're not. Over the years cruise ships have become bigger and bigger - bringing attention and fanfare with every superlative. On the news, on social media, and in ads it seems cruise lines are constantly trying to "out-build" each other. While there is no doubt that many consumers are excited about these giant vessels, did you know that they don't represent the majority of new ships? Let's talk about why mega-ships are so popular, and what the average new cruise ship size actually is. 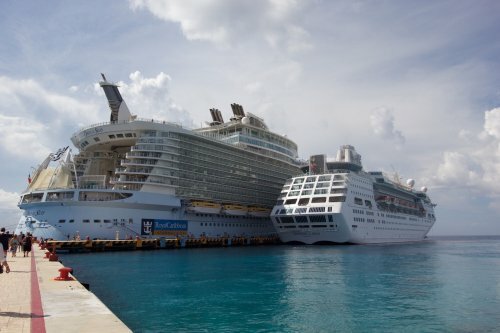 Read more about New cruise ships are huge - except when they're not. Carnival Increased Capacity in Tampa, Galveston, and New Orleans: Why these ports matter more than you think. When you think of cruising most people think about leaving from South Florida, Seattle, or perhaps a large city in Europe. There are many other ports out of which you can cruise, and recently Carnival announced they’re greatly increasing their capacity at some of them. We look at why this is important, and what we think it might say about the popularity of cruising as well as the economy... Read more about Carnival Increased Capacity in Tampa, Galveston, and New Orleans: Why these ports matter more than you think.